Brunel Motors is the leading local independent car garage, providing Salisbury MOT, servicing & car repairs to the local area. We specialise in car servicing, MOT testing and car repairs to all makes and models and light commercial vehicles.Brunel Motors are an approved Ford Blue Oval Club garage and Ford car and Transit specialists. Brunel motors have recently achieved full membership into the Trust My Garage scheme. So you know that we are a garage that you can trust! We also have dealer level diagnostics for Peugeot, Citroen, Volkswagon Audi Group, Seat and Skoda. Our Salisbury MOT testing centre offers a free retest if your vehicle fails its MOT, for up to 10 days after the test. Air conditioning specialist repairs & regassing, we also offer free Air con system checks. Brunel Motors specialise in fitting driving aids for those with disabilities. We provide a completely free of charge demonstration of the disability driving aids available, whether it be at your own home, place of work or at our wheelchair friendly premises on Churchfields Industrial Estate. We demonstrate the various disability driving aids available to help you get back behind the wheel with our Ford Galaxy demo car which you can see and test in action. 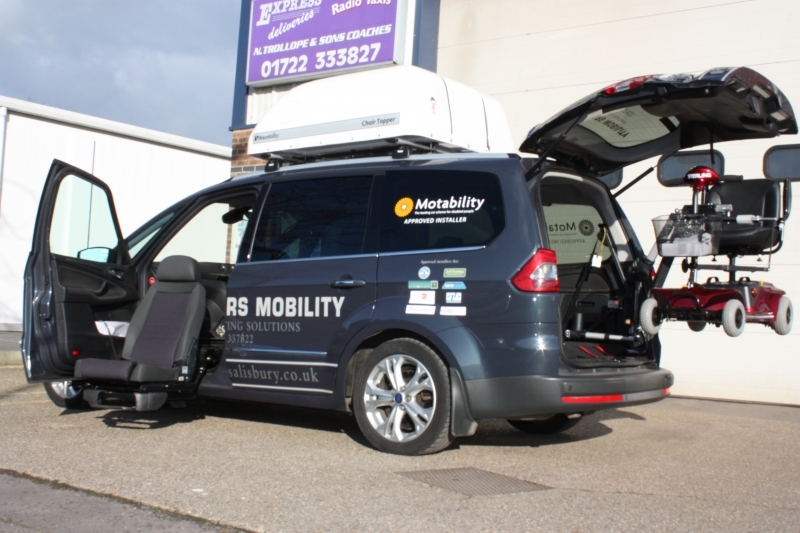 Not only are we a Motability Approved Installer, but Andy - the owner of Brunel Motors - is paralysed from the chest down and therefore has the unique perspective of being an experienced installer of car adaptations and someone who regularly uses adaptations himself on a daily basis. Our customers often find this very reassuring.